This is first and most important step. 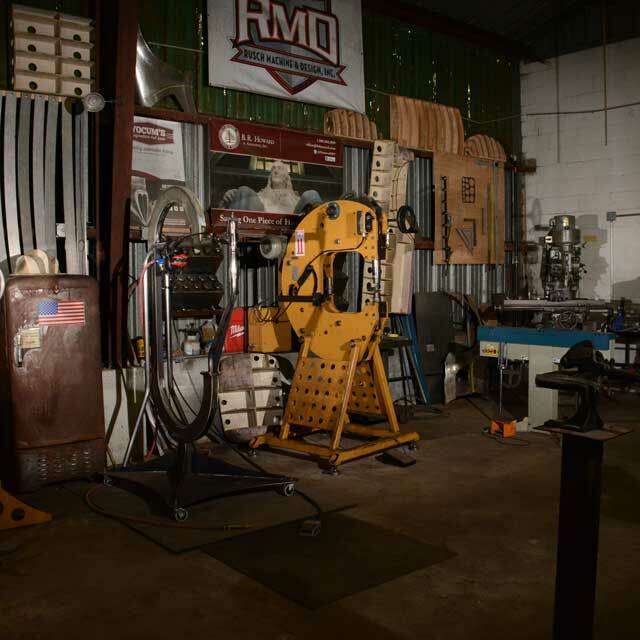 This is when clients will meet with the shop Owner, Kyle Yocum, tour the shop and discuss ideas and concepts. This is what sets the stage for the whole project. Tell us your vision, and we can make it a reality! Once we have a good idea what the client wants we go into design mode. We do this a few differant ways depending on the project. This can mean modeling specific parts out of clay or foam to get a full sized mock up, or we can be have a rendering done by hand or on the computer. If we are building a full body we will can construct a wooden guide called a “buck” to ensure are shapes are exact. This is what we are known for. Steel, aluminum, brass, copper, if it is metal we love it, and love working with it! 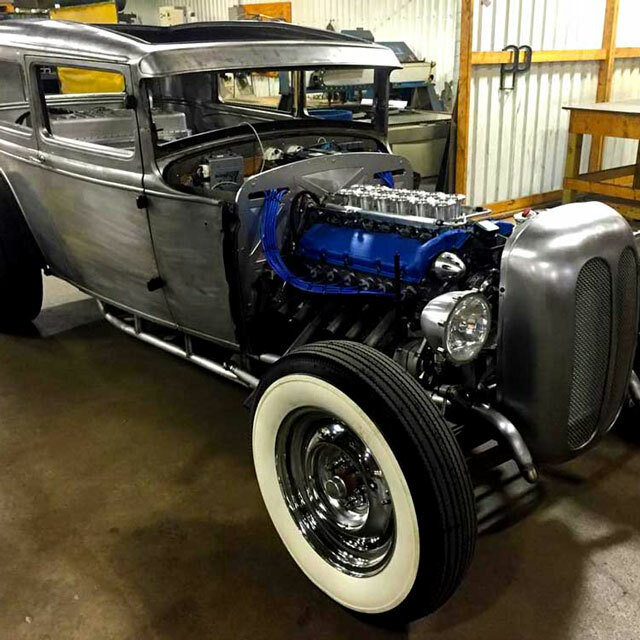 Everything from repairing rust so that no one will ever know it was there, building complete fenders from a flat sheet of metal to exactly match factory specs, or building an entire body! The fab work is complete, we are happy with body alignment, and fitment, this means its time for body work. 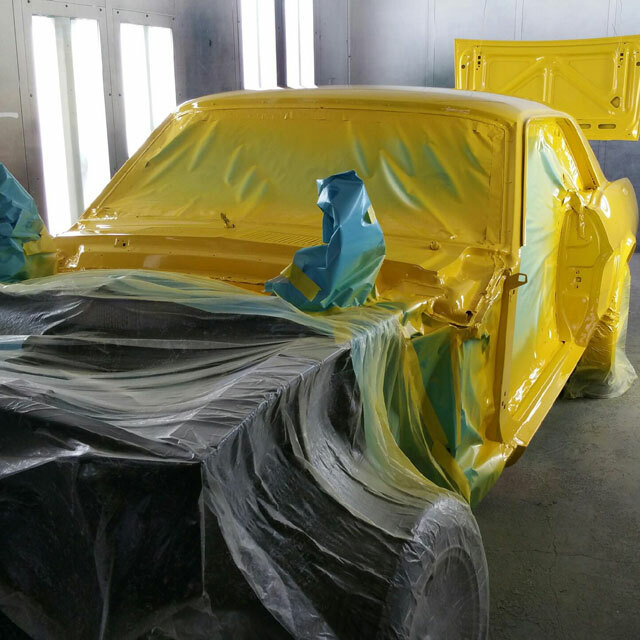 We will make sure your car is blocked to perfection before we send it off to one of the paint shops we work with. We do not currently do final paint work in house, but we have a network of painters that share our drive for quality. Already have a painter you are comfortable with? Great! We will be happy to work with them too. Again we do not offer this service in house, but are happy to work together with the upohlsterer to get the job done. 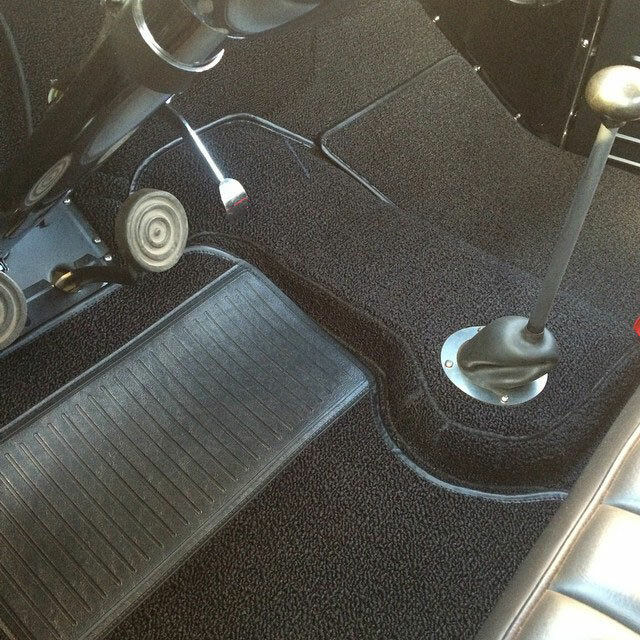 We have several amazing upholstery shops that we love working with on anything from a custom one off interior to an exact copy of what your car came with from the factory. 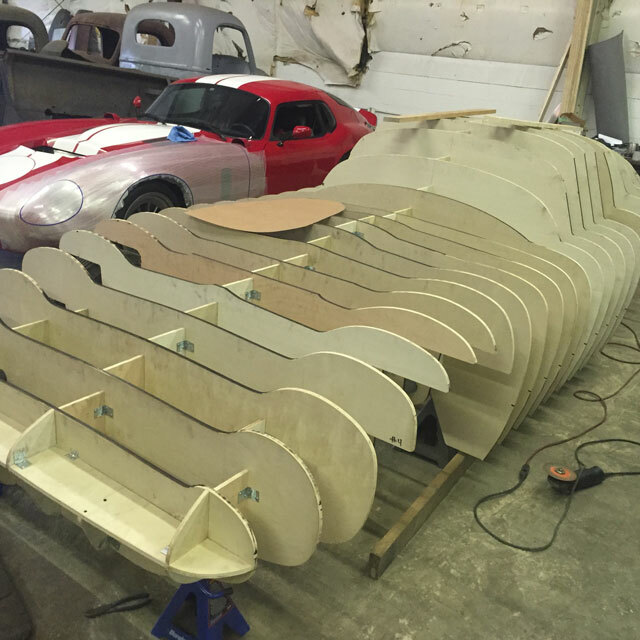 Once paint and upholstery are complete the car comes back to our shop for final assembly. 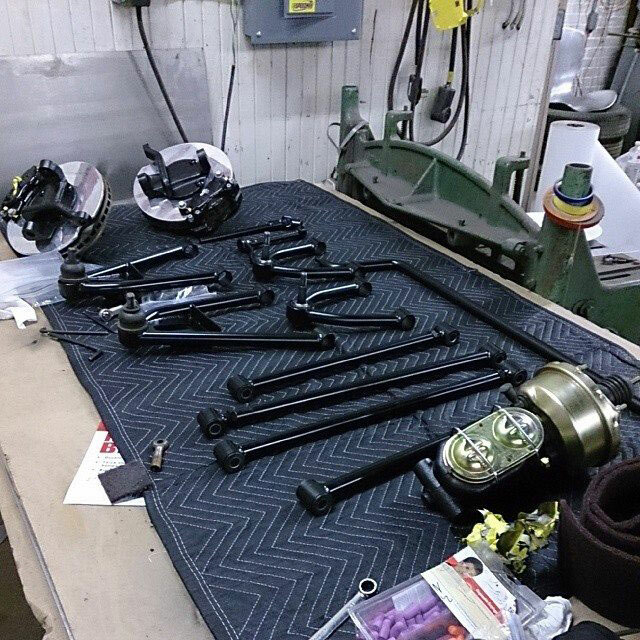 We will go through every nut and bolt during the reassembly process, making sure no detail is missed. When your car is done with assembly it will receives a final detailed cleaning to make sure that your car is show room ready before you drive it home.